For those of you who might have been wondering who is behind Crimson, I thought I would post a few pictures from my photo shoot in October so you could see who I am. My name is LeeAnne and I am the owner/operator of Crimson. 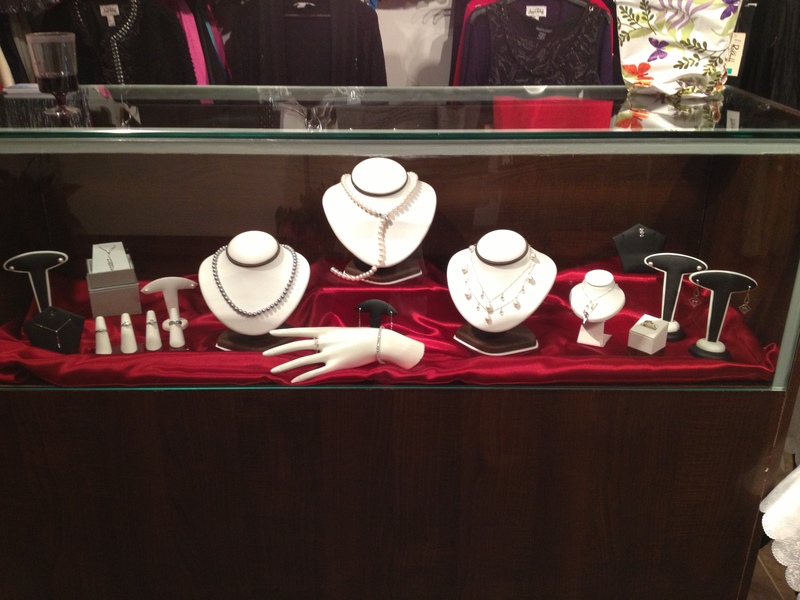 This company was founded by a desire to serve the public through my passion in jewellery. I am not alone though, and have some amazing people helping me out including a very talented goldsmith who has been in the business for over 30 years and the friends I have made through my work within the industry. I am a certified Gemmologist and received my diploma through the Canadian Gemmological Association. I am always open to answer any questions you may have so feel free to send me an email or a message here on WordPress as I check both frequently. You may also call me during the day between 9:30am and 6pm, I attempt to return any missed calls the same day or at latest the next day. 10 Romantic Ways to Propose! Our customers have often asked us for some good ideas and tips to make their proposal truly special. Below are 10 romantic and memorable ways to propose. Being creative and knowing your partner and what they like will help you create the perfect proposal. 1. Send your partner on a treasure hunt. Start with a clue at home; then send them on a tour of your favorite spots all over town. When they get to the last hint, the prize should be you on one knee. 2. Go out for a night of dancing and ask the DJ or bandleader to pass you the mic so you can dedicate a song and propose on the dance floor. 3. Movie buffs? Ask your neighborhood theater to run an ad featuring your proposal and make sure you get there in time for the previews. 4. For a simple surprise, after your partner goes to bed, go to their jewelry box and replace their everyday ring with the engagement ring. They’ll be completely shocked in the morning when they go to put on their regular ring. 5. Turn off all the lights in your apartment and make a trail of candles that leads to a circle of votives positioned around the ring. 6. Upload a video of your proposal to YouTube (tell them you have a hysterical home movie to show them). 7. Ask the pastry chef to write, “Will you marry me?” in chocolate sauce around the rim of their dessert plate. 8. Propose in a flower or botanic garden when everything is in bloom. 9. For a simple and intimate atmosphere make a homemade meal and propose in candle light with music in the background. 10. For Christmas engagements get creative! You can hang the ring box like an ornament on the tree and when all the other gifts are opened, have someone point out that there is one gift left with their name on it. Whatever way you decide to propose keep in mind your partners personality, if they are normally a bit shy and quiet don’t make it a public event. If they happen to be very family oriented make sure that their family is present for the big question! The name Citrine originates from the French word, “citrin”, meaning lemon. It has been found in the palest of yellows to a dark amber. 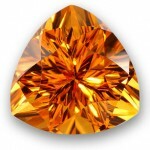 The dark amber Citrine, is referred to as Madeira, because of its resemblance to the wine. Citrine is sometimes confused with Topaz, which is much more precious and expensive and although similar in appearance, the two are very different. Natural, bright yellow Citrine is the rarest variety of Quartz. This stunning opal is 0.85cts and comes from Australia’s famous Lightning Ridge!